The Queen has intervened following Prince Philip’s horror car smash that landed two women and a nine-month-old baby in hospital. The 92-year-old monarch instructed her most trusted lady-in-waiting to contact passengers of the other car in the collision, after complaints that the Duke of Edinburgh had not apologised. Palace sources confirmed attempts to call them were not made until Saturday, at least 48 hours after the crash. 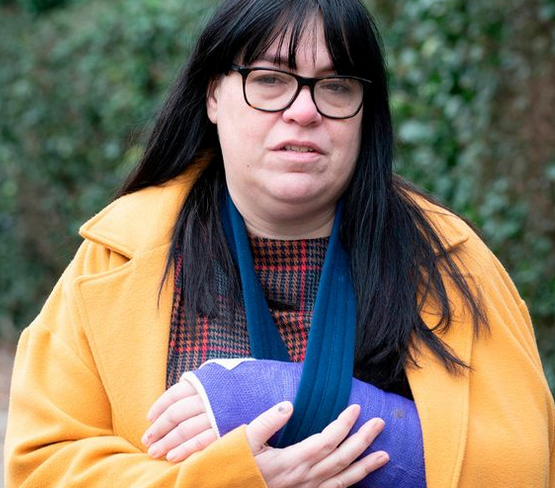 Mary Morrison phoned smash victim Emma Fairweather – who broke her wrist in the collision to deliver the monarch’s “warmest good wishes following the accident”. But there was still no message from Prince Philip or even a mention of the Duke. And Emma revealed in the Sunday Mirror Philip had not apologised to her and said he should not be allowed back on the road. She told the Daily Mirror Miss Morrison, 81 – who has served the Queen since 1960 – left her a voicemail message, which said: “Hello, I’m ringing from Sandringham House. “The Queen has asked me to telephone you to pass on her warmest good wishes following the accident and Her Majesty is very eager to know how you are and hope that everything is going as well as can be expected. Emma, who turned 46 today, said she had felt “ignored and rejected” by the royals before receiving the message from the Queen. But she insisted Prince Philip should have taken responsibility to contact her to check she was all right. Next Mum Who Fell Pregnant Via IVF, Discovers She’s Already Expecting Twins, Then Welcomes Triplets!